Well, my self imposed deadline has come and gone. I do have all the blocks done for my SWOON quilt (as of last night! ), and the embroidery in the center square is also completed. It turned out great!! I’m thinking of adding a few flowers and such, but perhaps I should just get this thing done and off to LiMa Sews. My friend was married this morning. She’s officially a “MRS” now, and I think she is in bliss this afternoon. I’ll get a chance to see her tomorrow at a reception they are hosting for friends (they only had a small, family wedding today). Finally – I have signed up my family to be FOSTER PARENTS! Foster parents to rescued kittens!! I shared this little secret with my 4 year old earlier this week, but she blabbed already. I was going to surprise my husband and son with them on Sunday. I have missed having kitties walking around, under my feet, in my bed, laying on my computer, etc… for four years. It is time. We are fostering for now, but we will certainly plan to adopt later in the year. I’m helping out with a rescue group called Dori’s Darlings. You can check out their website here. If you live in the Houston area and wish to foster as well, they would be glad to have you I’m sure! They also help with vet needs for their rescued animals and have saved many lives from pain and agony. 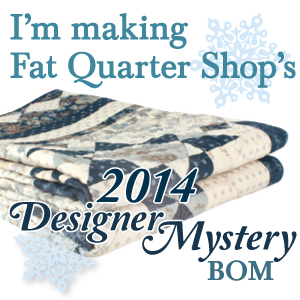 Plan of action – add sashing and borders to quilt tonight/tomorrow. Piece the backing. Mail off to the quilter on Monday/Tuesday. Play with kitties. Missed you over at AYOS but I can see why you didn’t join in this month – you always get so much done! How exciting you will be fostering kitties! I had had cats since I was 8, and I love them too. We adopted one last year that was rescued from a tree here in Katy, and I named her Katy. 🙂 She is a little black-haired monster, and I love her to pieces. She thinks I have all those pieces of fabric out for her to recline on. Please post some pics on your blog when you get your furry ones. I saw your AYOS quilt – it was just fantastic! I am so afraid to use bold colors and combinations, but they always look great when others do it. I should pick up the kittens today, after work. Will be sure to blog about it – maybe have to dedicate a page to their development. Thanks for the visit and the comment!